The reappointment will extend Mr. Field’s time in the position until December 31, 2016. Governor Fergusson said, “Mr. Field has made significant achievements during his tenure in the role of DPP to date, from which Bermuda has benefited. Mr. Field’s official bio on the Government website says, “Rory Field formally took over the role of DPP of Bermuda on 5 September 2007. He was called to the Bar in London in 1980 and is a member of the Middle Temple. 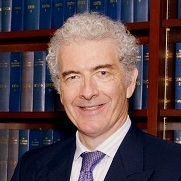 He practices in London from 15 New Bridge Street Chambers [the Chambers of Pat Upward QC] and specialises in criminal prosecution and defence. He covers all areas of serious crime. “In 2003 – 2007 he was legal advisor on organized crime to the OSCE Mission to Serbia. As such he advised the Serbian Ministry of Justice, the Chief Prosecutor of Serbia and the Organised Crime Prosecutor of Serbia on how to fight organized crime and serious crime more effectively through legislative and institutional improvements. He instigated several important developments in areas such as witness protection, hi-tec crime, asset confiscation and the development of international approaches to fighting cross border crime. “In 1999 – 2001 he served as Director of Public Prosecutions of Belize. Whilst there, he personally prosecuted many of the most serious and high profile cases that came before the Supreme Court. He prosecuted almost every case which came before the Court of Appeal. He also prosecuted 2 murder cases before the Privy Council. Mr Field’s last contract extension caused some controversy, with some feeling a suitable Bermudian candidate should be appointed. Update 6.56pm: Speaking on this appointment by the Governor, a Cabinet Office spokesperson said, “Naturally, the Premier is disappointed that a suitably qualified Bermudian has not been appointed. “The Cabinet Office noted that concerns regarding this matter have been raised previously by the Premier,” the spokesperson added. “The Cabinet Office confirmed that the Premier had ‘strongly expressed’ his concern to the Governor and further indicated that he would once again raise the matter with Minister James Duddridge MP, Parliamentary Under Secretary of State in London, who is responsible for Bermuda and the Overseas Territories. Of course the OBA are looking out for anyone who isn’t Bermudian. Shameful! He was appointed in this position in 2007, while your lovely PLP was in charge. But that was “different” I suppose. It’s really getting boring hearing that now. Take a look at how many work permits were given out under the plp. And then check how many foreign consultants were used by the plp. The plp talked a big game but did nothing major for bermudians. Were you better off under the plp? Wait, record work permits? I thought the plp were anti-foreigner, make up your mind. No I don’t have to make up my mind. It sums the plp up perfectly. They do one thing and say another. They say they’re standing strong for bermudians yet give out a record number of permits. But to look strong they use anti foreigner rhetoric. What is shameful is your lack of ability to read or comprehend the English language. Am I happy that a Bermudian has not been chosen? No; but to outright be deceitful and state “the OBA are looking out for anyone who isn’t Bermudian” is garbage and misleading. And I AM a Bermudian with NO Party affiliations. Just tired of the lies for political gains or bashing. You proof read for Mr. Weeks? The OBA do not choose the Director of Prosecutions, the Governor does, who don’t you learn to read before you open your mouth. I’m not surprised that you believe everything you hear, just like all the other PLP guys. So silly. Judicial and Legal Services Committee. His peers voted for him and the Governor confirms. Not the PLP. Not the OBA. Good appointment and with creds like that he sure as hell has an idea of is going on and needed. So you don’t care that a Bermudian is qualified for the position at all? This is a sad day for Bermuda. They shot themselves in the foot. How did ‘they’ shoot themselves in the foot? It was all aired at the time quite extensively. In effect they removed themselves from being eligible by their actions. If not for that they might have stood a chance thiis time around. Is there a qualified Bermuda available for this position? If the answer is yes, Dunkley and Bean should catch the next BA flight to London and thump on a few desks! is there a qualified Bermudian? No … only other candidate is Cindy Clarke who per the BDA bar association was first called to the Bar in 1999 – Rory has almost 20 plus years experience advantage, plus he was also DPP of Belize. Pretty clear cut. Seriously Tough Love look at this guys experience, he is clearly incredibly well qualified. Yes it’s a shame he is not Bermudian but in this tiny little squabbling community it’s probably best to have an apolitical individual. Terry you clearly don’t know what you are talking about. Government House has been giving this same excuse for the past decade. Was the Attorney General forthcoming when asked in the HOA by the Opposition if he knew of this? Because he answered NO? How can we trust them? Judicial appointments (including the DPP) are handled under the Governor and have nothing, repeat, nothing to do with government. Educate yourself. If he is that talented tell me why we get court cases that fail. He should know before if the evidence is sufficient to warrant a trial and conviction. In the time he has served as DPP how many cases has he prosecuted and how many has he won? A man with that type resume we shouldn’t worry about miss trials hung juries or any other type of failure. I ask how many of the improvements has he tried to institute in this Island where his bread is buttered? Quite a few high profile cases lost, and falsely charging a guy a few weeks ago! The cases lost are because the juries decide the facts. That’s the way it works. If you disagree with the verdict, blame the juries. The guy “falsely charged”.., are you talking about the person arrested on suspicion of murder and then let go? You think that’s something to do with the DPP? If the jurors decide that a person is not guilty or cannot reach an agreement amongst themselves, then that’s because of the evidence, nothing else. If the evidence is not there or not presented to the jurors, then how can they make a decision? We may all sit here and say that a lot of cases have gone down the drain, but they have also locked up a lot of these perps. so it happens both ways. I do believe a Bermudian should always be ahead of anyone, but obviously they chose someone who they thought could brings these perps. to trial and find them guilty. Oh please do some homework! It’s the police that wrongly charged the guy and it’s the police that are failing to gather evidence. If the community were more prepared to come forward and be witnesses and provide information then you could start criticising. Sickofantz, it is you that has no clue at all. Educate yourself and stop spreading misinformation to the general public. You need to do your homework- the police don’t lay charges, the DPPs office does. The police arrest and present evidence to the DPP who decides, on the evidence, whether to proceed to court or not and on what charges. As indicated by the 2 individuals below it is the police who arrest and then the DPP/CPS who decide whether there is enough evidence to prsecute in court. We can only hope that he’s being kept on to make use of his experience in organized crime prosecutions. Perhaps there’s one or two major corruption prosecutions expected and it would be best to have an “outsider” lead the prosecution. One who can’t be bought off with a lucrative “consulting” contract. Ah, now we are talking sense … well said. Let’s wait and see who it might be! He has been appointed for two more years, by that time he would be given his Status and there is your Bermudian. Has this been played out before. Hello! There is a method to this madness.. Under what immigration application would he get status???? The one that will transport him back to before 1989. Doc Brown should be around any minute. Roger, why don’t you put a sock in it??? Funny that I have to ask you?? We’re was your OUTRAGE! When your DREB brought in under the cloak of darkness, FOUR unqualified uighers who are/where NOT qualified for any job they have taken from Bermudians??? For the record, if you actually read the article and if you are capable of comprehending it, you would plainly see that the OBA government had NO say in it!!!! Does the fact that your government had no say in this make it ok, or are your stuck on something that happened in 2009 and which has had a negligible effect on this country and is irrelevant? By the way, reading the statement from your team it appears they don’t like this decision. Shouldn’t you be following their lead or are you having trouble reconciling what you said when the PLP was at war with government house way back when? Hypocrisy, irony and reality, all wrapped up in one for you. Please don’t compare me with yourself and the plp sheeple, I actually can think for myself and when I dissagree with the OBA I say it it with NO hesitation, unlike the plp sheeple who questioned nothing of the plp while they were being thrown off the fiscal cliff, until this day many sheeple still live in denial of why they have NO income???? By the way, I totally agree with the decision made by OUR governor on this!!!! Kangoocar, OUTRAGED! where did I suggest the OBA had a say only asking has this been played out before? Not with someone who first got here in 2007 it hasn’t. The law passed by the PLP only applies to people here prior to 1989. Pension people, pension…..hmmmmm. Bermuda: the gift that keeps on giving. Think you are posting under the wrong story. This isn’t about Paula Cox. SMFH. What happened to Cindy Clarke? Bermudians were upset the last time they appointed him and the governor has done this to show that HE is really in charge! PAY ATTENTION, PEASANTS! Cindy Clarke who per the BDA bar association was first called to the Bar in 1999 – Rory has almost 20 plus years experience advantage, plus he was also DPP of Belize. Pretty clear cut. The PLP let in 12000 work permit holders,putting us BERMUDIANS out of work. I honestly feel sorry for my children. Once again another “qualified” Bermudian has been shut down. It’s not what you know, its “who” you know. This is a sad start to the new year..
who was the qualified Bermudian? I’m absolutely disgusted! This is a slap in the face to all qualified Bermudians. Bermudians are selling themselves very short if they expect to be in top positions without the years of experience. Rory Field called to the bar in 1980. Most likely other candidate for DPP called to the bar in 2000. 20 years difference. More than double the experience in years alone, let alone the countries worked in. Let’s not pretend that they are two equal candidates. Bermudians, you can do this without the games. You know you can. Get out there, get the qualifications, get the experience and get into position on your own merits, not simply by being a certain nationality. Let’s face it, CV aside, which leading UK silk leaves a successful UK chambers to Come to Bermuda? And post Bermuda what type of career as a prosecutor does someone have back in the UK? Time for even us to accept that it’s not the UKs brightest and best who leave £1,000,000+ salaries (after 50% income tax) to come to Bermuda, then refuse to leave, for a paltry BMD$210,000 (before deductions). You think prosecutors in rural towns in the UK with a population of 60,000 earn two million pounds a year? Obviously the Bermudians have been very naughty people; or, that man who lives on the hill is allergic to Bermudians and is very much looking after home. Evidently that is all that matters. I love when Bermudians, each of whom can move to the UK whenever they want and take any job available there, complain when a British person takes up a job in Bermuda. I am not sure why people are blaming Mr. Fields because he did not appoint himself. The real question is whether or not there was ever any plan developed to prepare anyone else for the post. If there was a plan then why was it not followed? If there was never a plan then blame government house for not doing as they said they would. If the previously identified person is not suitable then government house should just say so because nationality alone is not the best determinant of ability. I completely disagree with most of these comments. Bermuda benefits more by have a DPP that is neutral and non partisan. This is not the Governor’s decision. A local Judicial Appointments Committee make the decision and the Governor merely rubber stamps their LOCAL decision. Full stop. It is sad that no similarly qualified local lawyer was avaialble. No doubt Cindy can continue to grow in experience and possibly even follow Mr Field’s precedent and gain experience elsewhere. This is an important role given the present state of Bermuda and experience is required, irrespective of where it comes from. Well done on a good choice rather than a politically expedient appointment. I admit I’ve been “out of the loop” for a few years, but could someone name the Bermudians who a) are qualified for this position and b) actually applied for it? This is so disgusting! People look great on paper. The question is what exactly has he done? He has been here for 7 years and has not trained a bdian to take the spot, which I’m sure is a term of his contract. The person in question to be next in line is more than qualified for this position so why have they not been chosen? Why has he not made the effort to ensure they are equipped to take over. And he has taken the credit of work done by other qualified Bdians. He does not act alone he has a team of bdians and non-bdians under him. He will retire off of our money and Bda is okay with that. What a shame!